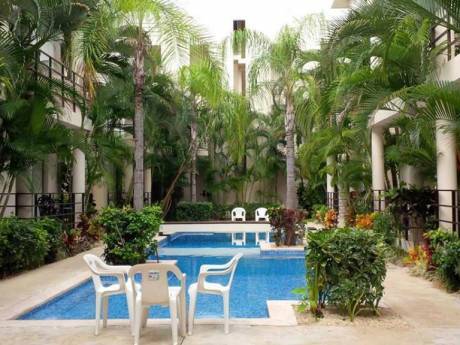 Wonderful Near Beach Condo In Playa Del Carmen Steps From Coco Beach. 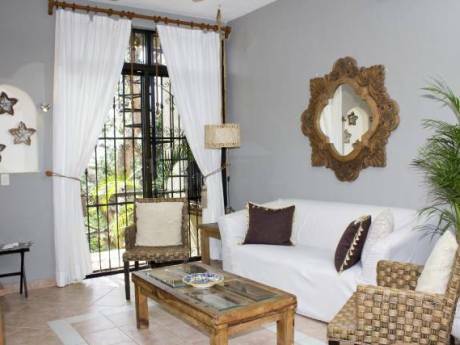 Our uniquely styled, Mexican home was originally a 2 bedroom condo which we have since converted to a 1 bedroom condo with a master suite and a full size office with a 2 bed trundle bed for the occasional house guest(s). Our home is the perfect Caribbean getaway for 2 people looking for all of the comforts of home just steps from the Caribbean Sea. We offer limited ocean views and wonderful Caribbean breezes from the living room, dining room, kitchen, office, bedroom, terrace and even 1 bathroom. We have a beautiful swimming pool, 24 hour security, off street parking, fulltime gardeners and administrator along with stunning views of the Caribbean and the island of Cozumel from the common area rooftop terrace. The beach in front of our condo is Playa's finest beach and stretches for miles in either direction. We our US citizens living in Playa Del Carmen since 2003. 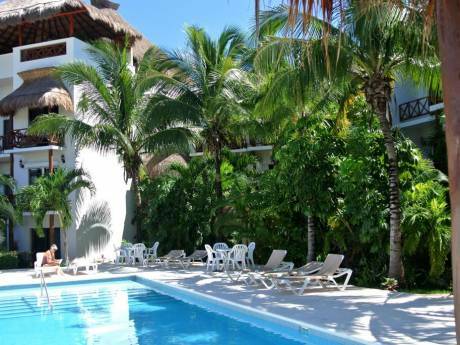 We are also property managers not only in our own complex but others in Playa Del Carmen as well. We are in our 50's and like to visit our children in Oregon now and then in the summer months. We are also open to other travel options anywhere in the world (almost). Playa Del Carmen is already known as a world class vacation destination and our neighborhood, which is named Zazil Ha, is the best neighborhood in all of Playa Del Carmen. Even better, our condo at Natz Ti Ha is in the best area of Zazil Ha. You simply will not find a better location. We are surrounded by many of the areas best restaurants, some well known and some known only to the local community. You will be amazed at the quality and variations of restaurants within a 10 minute walk of Natz Ti Ha. We are also just a 5 minute walk to Playa's famous 5th Avenue where you will find countless restaurants and shops as well as a constantly changing variety of public events and activities. When you need to relax and refresh, Coco Beach is just steps from the condo. You may easily forget all of Playa's other attractions once you find yourself relaxing in your beach chair or on your beach towel. Remember our beaches are powdery white coral and not sand so they never heat up no matter the outside temperature. Along Coco Beach and also very nearby, you will find the beach club restaurants of Canibal Royale, Mamita's and Kool. You will also find the fishing, diving and snorkling fleet ready to go when you need them. Kiteboarding, Stand Up Paddleboarding, Jet Skiing, Parasailing, Catamaraning and Beachfront Massages are also just minutes from Natz Ti Ha on the beach.